Owners of the 103 Square complex have chosen not to restore the buildings after flooding July 27. 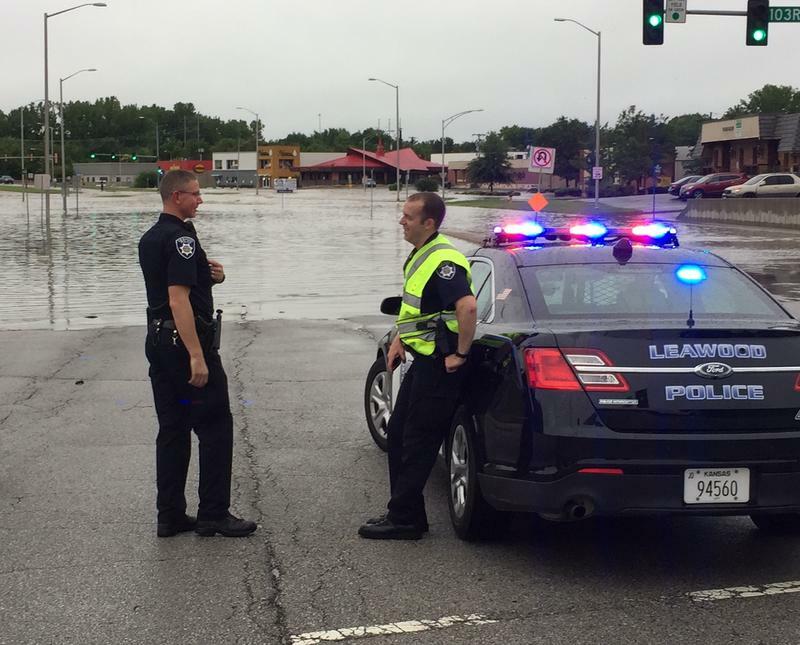 Historic flooding on July 27 led to a dramatic water rescue at the popular Coach's Bar and Grill in south Kansas City. High water also caused major damage to businesses in the same strip near 103rd Street and Wornall Road. Now, the properties' owners have decided "it is just not worth it" to restore the 103 Square complex. That news came in a Facebook post written Tuesday by Coach's co-owner Brian Darby. "It was a decision made by the property owners after six floods over the years and all the damage," Darby said. Jacobs Properties owns the complex. Company officials did not immediately respond to KCUR's request for comment. Darby said in the post that Coach's had been open at the 103rd Street location for 30 years. He indicated that even though it would not reopen there, decisions still had to be made about the bar's future. "We do not want this to be the end, but hope for a new beginning for all of us and the Coach's family," he said. Coach's has experienced a tumultuous few months. Darby became co-owner after his father and former co-owner Mike Darby was found murdered along Indian Creek Trail in May. That case remains unsolved. 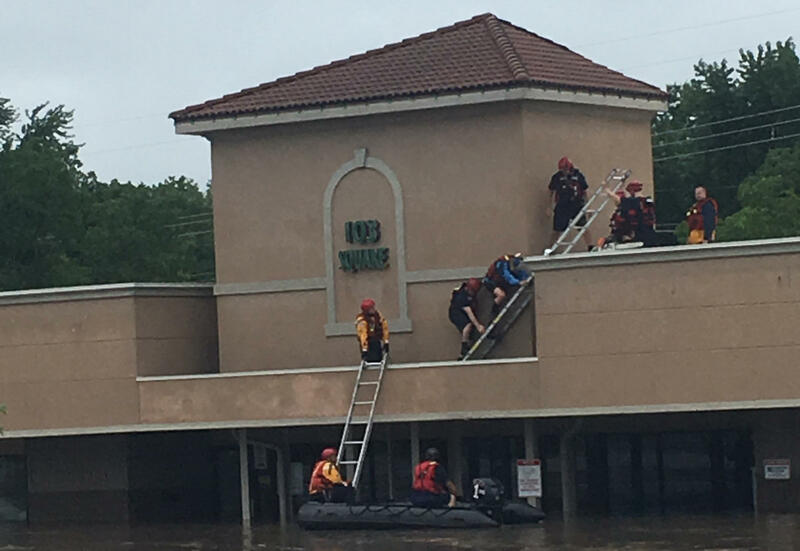 Then, during the flooding in July, Darby and co-owner Chris Donna-Louise Carle had to be rescued through the roof of the bar after they became trapped in the building by high water. They had returned to the bar during heavy rains to salvage some paperwork. Darby said in the Facebook post that they are grateful for the last 30 years and will continue to provide updates as they plan for the future. "Now is the time to drive by and look at that sign one last time and remember all the good times that so many of us have had in that building," he said. American Shaman CBD opened in the 103 Square complex just seven months ago. The store sells CBD products which are derived from hemp plants to provide health benefits associated with cannabis without the psychoactive effect of marijuana. Co-owner Eric Banks said he was shocked to learn Wednesday that he needed to find a new location. "We listened to them tell us that we were going to rebuild," he said. "Now all of a sudden I'm out of town and they're telling me nope we're not going to do anything with it, we're not rebuilding, you can't come back." American Shaman is currently operating out of a temporary location off of Grandview Road near Red Bridge Road. Banks said he was particularly shocked because his business did not sustain major damage from the storm. "I had hardly any damage inside of my building at all," he said. "My business was so put together, so nice, that I could have literally walked back in there two days after the flood happened and started business again." Banks is hoping he can find a new location near 103rd and Wornall, so that customers who he says depend on the store for health purposes can find him. "We built our business in that area to help people, and the community has come out to support us and we want to stay there to support that area," Banks said. "It’s heart wrenching and sad to me." The Little Blue River is causing big problems for the City of Grandview — more than $1.3 million worth to be exact. 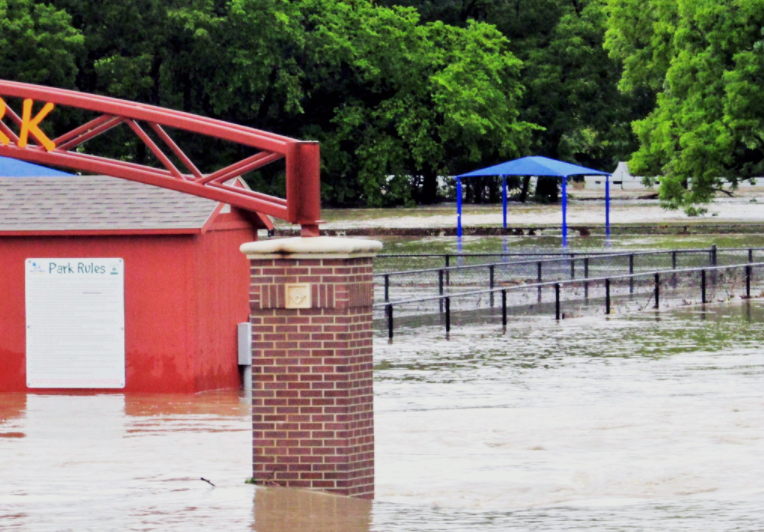 Heavy rains caused major flooding across the metro Thursday, and Grandview officials say they may end up needing state or federal help to clean up the damage. "Unfortunately, we might get to the point where we might qualify for some state or federal assistance because there’s so much damage," Grandview Communications Manager Valarie Poindexter said. Heavy rainfall and thunderstorms over the weekend caused record high flooding in southern Missouri, leading Governor Eric Greitens to declare a state of emergency.